BROWNSTOWN TOWNSHIP, Mich. - Two Monroe County men are accused of murdering a man who was celebrating Cinco De Mayo outside a bar in Brownstown Township, police said. Officers were called around 2:10 a.m. May 6 to the Champions Sports Bar at 22112 Sibley Road because of a fight, according to authorities. Police said Michael Beaudrie, 50, of Battle Creek, and his brother had been celebrating Cinco De Mayo when they exited the bar with several other customers at closing time. 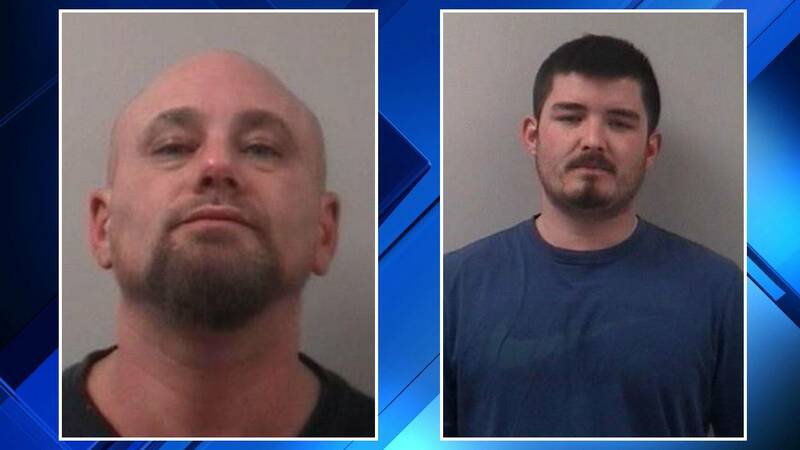 According to officials, Beaudrie and his brother got into an argument with two other people leaving the bar: Rickey Dale Richett II and Damian Anthony Willingham. Officials said Beaudrie's brother was drunk and accident bumped into Willingham, so Willingham and Richett got into an argument with the brother. Witnesses said the argument escalated into a physical confrontation in the parking lot, and Beaudrie tried to intercede. Richette allegedly struck Beaudrie several times in the face and the body while Willingham helped, according to authorities. When police arrived, they found Beaudrie lying in the parking lot. He was taken to Beaumont Trenton Hospital, but died the next day, officials said. Beaudrie's brother was also assaulted before Willingham and Richett drove away, police said. Richett, 45, of Monroe, and Willingham, 26, of Newport, were arrested Thursday and arraigned in 33rd District Court. They are charged with open murder and assault with intent to murder. Officials said the two will be held without bond. A probable cause hearing is scheduled for Jan. 29, and a preliminary examination is scheduled for Feb. 5.